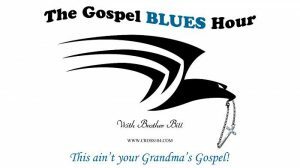 The Gospel Blues Hour is an internationally syndicated weekly program hosted by Brother Bill Kenton of the BillandKatRadio Network based in Cincinnati, OH USA. This ministry brings us all together in praise to the Lord! If you are tired of the sleepy, traditional CCM music, come and worship with us! The Gospel Blues Hour is guaranteed to inspire you and get you movin’! Learn more about Bill & The Gospel Blues HERE!